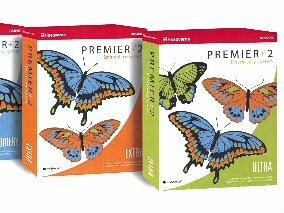 Viking PREMIER+™ 2  Ultra & Extra Software Training  PREMIER+ 2 is the Ultimate Embroidery Software for any machine. The latest version of the software contains everything you love about the original software plus some amazing new features.  Come join us for a skill building learning series. Bring your computer and each month we’ll complete a hands-on exercise. Instructor: Annette Walters, $10 Please call or stop by to sign up so that the instructor knows how many are attending (for handout practice exercises).